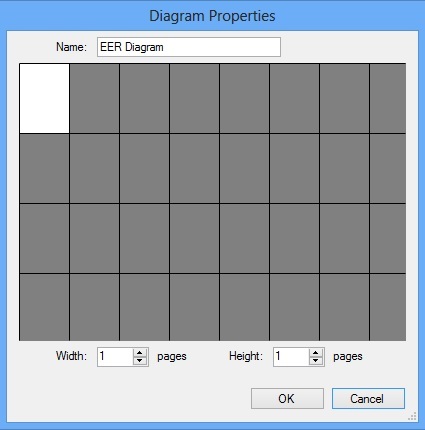 I am working on a moderately complex schema in MySQL Workbench, and the single page of the EER diagram is now full up. 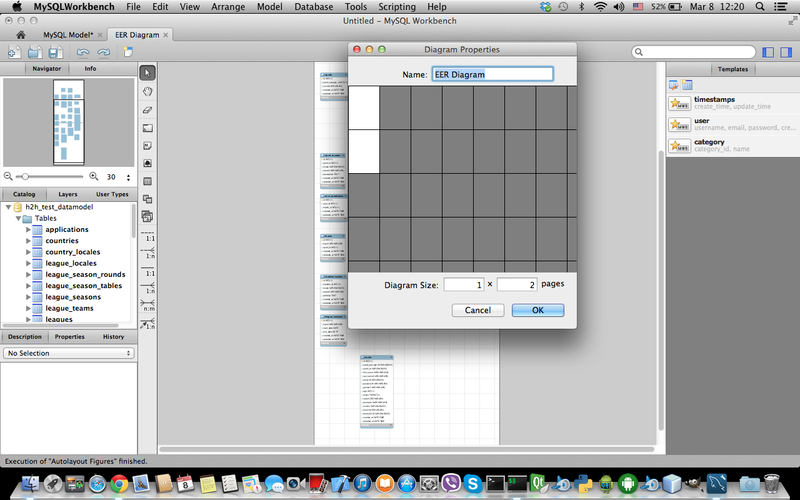 Does anyone know how to enlarge it to two or more pages? 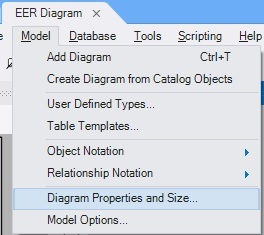 On the Model pull-down there is an option Diagram Properties and Size, which allows the size of the diagram to be changed. Confirm "Ok". This may crash Workbench, depending on the version and/or operating system. 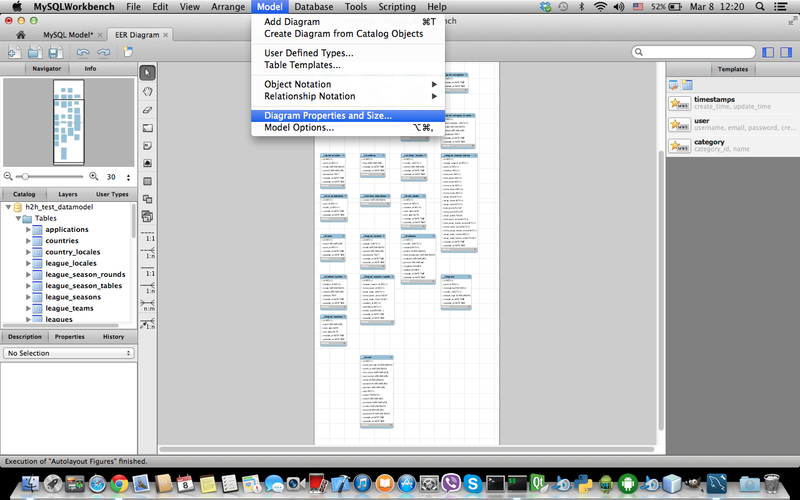 Either way, "Model > Diagram Properties and Size..." should now be enabled, even if you had to reopen Workbench. 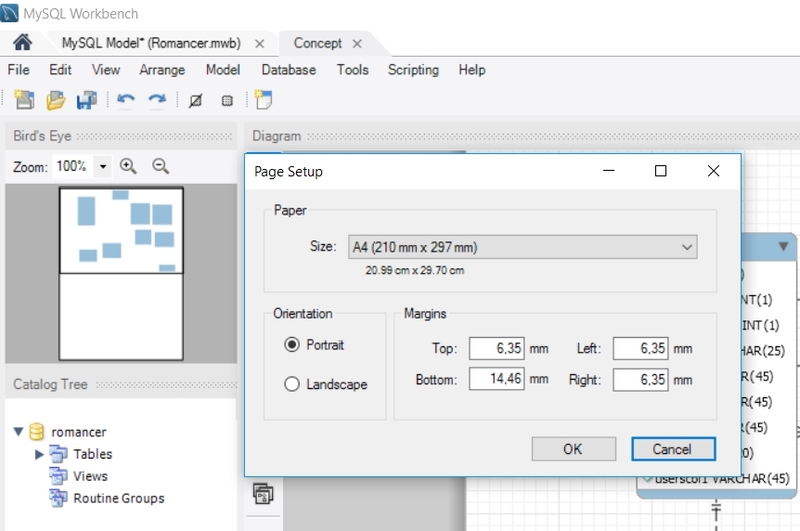 by the way, if you want a large number of schemas to display correctly, you need to increase the size of the canvas AND zoom out BEFORE running "Auto Layout". if you increase the canvas size enough and zoom out enough all the tables will be spaced apart nicely. If you are under Linux, and it is hanging when you try to elarge the canvas size, try zoomming out to the smallest view possible before changing the canvas properties. I am not good at linux, there should be some miss-configuration leading to this. So I'am only saying that this resolved the problem for me. Not the answer you're looking for? Browse other questions tagged mysql mysql-workbench eer-model or ask your own question.